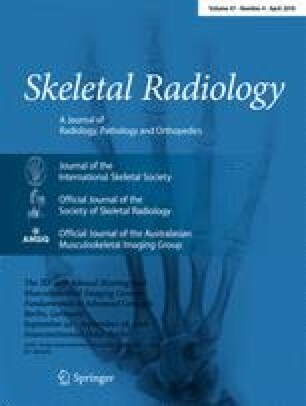 To compare the image quality, radiation dose, and diagnostic performance between low-dose (LD) and ultra-low-dose (ULD) lumbar-spine (L-spine) CT with iterative reconstruction (IR) for patients with chronic low back pain (LBP). In total, 260 patients with chronic LBP who underwent L-spine CT between November 2015 and September 2016 were prospectively enrolled. Of these, 143 underwent LD-CT with IR and 117 underwent ULD-CT with IR. The patients were divided according to their body mass index (BMI) into BMI1 (<22.9 kg/m2), BMI2 (23.0–24.9 kg/m2), and BMI3 (≥25 kg/m2) groups. Two blinded radiologists independently evaluated the signal-to-noise ratio (SNR), qualitative image quality, and final diagnoses (lumbar disc disease and facet joint osteoarthritis). L-spine MRIs interpreted by consensus were used as the reference standard. All data were statistically analyzed. ULD protocol showed significantly lower SNR for all patients (p < 0.001) except the vertebral bodies and lower qualitative image quality for BMI3 patients (p ≤ 0.033). There was no statistically significant difference between ULD (sensitivity, 95.1–98.1%; specificity, 92.5–98.7%; accuracy, 94.6–98.0%) and LD protocols (sensitivity, 95.6–100%; specificity, 95.5–98.9%; accuracy, 97.4–98.1%), (all p≥0.1) in the BMI1 and BMI2; while dose was 60–68% lower with the ULD protocol. Interobserver agreements were excellent or good with regard to image quality and final diagnoses. For the BM1 and BMI2 groups, ULD-CT provided an acceptable image quality and exhibited a diagnostic accuracy similar to that of LD-CT. These findings suggest that it is a useful diagnostic tool for patients with chronic LBP who exhibit a BMI of <25 kg/m2. All procedures performed in studies involving human. Participants were in accordance with the ethical standards of the institutional and/or national research committee and with the 1964 Helsinki Declaration and its later amendments or comparable ethical standards. Written informed consents from each patient were obtained.